As more and more people discover the financial benefits of real estate investment, it can become difficult to find the strategy that will work for you. What works for one investor may not work with another. In our latest post, we will ask questions to help you determine your investment strategy so you can develop a strong portfolio of properties in Charleston. 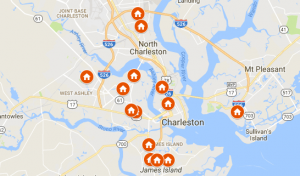 When investing in Charleston real estate, there are a lot of numbers to run first. What will you be bringing in each month? Better yet, consider what a typical year could bring. There could be repairs, vacancies, and more. You may not be bringing in your full estimated rent each month of the year. Knowing this, how much can you afford to pay for the property each month? If you are obtaining a loan, the interest rate could be higher than with a standard mortgage loan. Never invest in Charleston real estate without discussing the purchase with your accountant. Many people dive into a property purchase, only to find themselves buried in taxes and costs a year down the road. Take a look at the income, expenses and cap rate. Overestimate your maintenance costs and plan accordingly. Top investors don’t get there on their own. They surround themselves with a team of people who are the best in their fields. Agents, wholesalers, accountants, attorneys and construction professionals. Before you purchase investment real estate in Charleston ask yourself if you have a strong team in place to help you reach your goals.